This was the first product I started with since it was an oil. I really enjoyed using this and it does what it needs to. Like all cleansing oil is a two-step process, where the 2nd step you use water to break down the oil and makeup. The only negative side is the price point, maybe I'm cheap but I don't look to spend £24 on a cleansing oil every time, especially when my go-to costs £12. The one is the photo is my sister's since I can't find my empty bottle. I know that this is a cult favourite and instead of a oil is a solid form where you dip your fingers into the product and massage onto your face. Again the process is still the same with the dual process. With this product, I did not like the scent at all. It was way too florally and I felt I really had to melt the blam between my fingers before applying it onto my face. It had this gritty solid feeling and although it did it's job. I won't be reaching for the full size because of the scent. I was sent this from Cult Beauty ages ago and have finally finished using it. It is a cleansing stick which goes from balm to oil to foam. It is infused with charcoal and claims to reduce your pore size. I'm not sure on the applicator because you apply this directly to your face and obviously while you are doing that the makeup you want to remove will get onto the stick making it not very hygienic and will collect around the outer rim. I normally apply the product where I can with the stick and apply some on my fingers to remove my eye makeup and crevices on my face. Because it had Charcoal and a slight tingly feeling this stung my eyes so be very careful. It did, however, remove my makeup very well but for convenience wise, I much prefer other cleansing oils and balms. This is one of the most recent cleansing balms that I have been using and I still have a little bit left to finish. I received it in my Asos box which is a great deal to try out new brands. This cleansing balm has completely no scent which is awesome for those who have a sensitive sense of smell. It has caused me no irritation and removes my makeup perfectly. I have no faults about this one and would repurchase this in a heartbeat. That is all for my little review on my empties. Hope you've enjoyed! I also have a little skincare giveaway here so don't forget to enter that. *Contains PR items but does not affect my opinions. Take the day off balm is amazing its honestly one of my favourite cleanser its just so easy and basic! 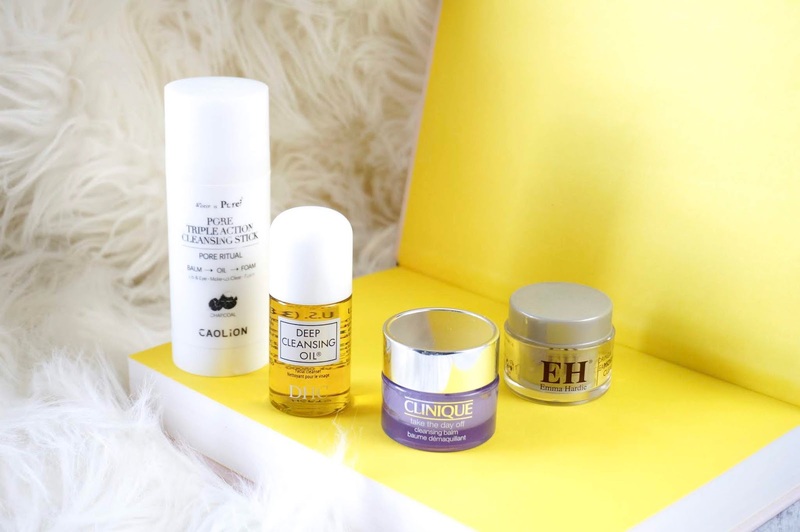 Love this post :) I need to try the Clinique balm, I've heard such good things about it.